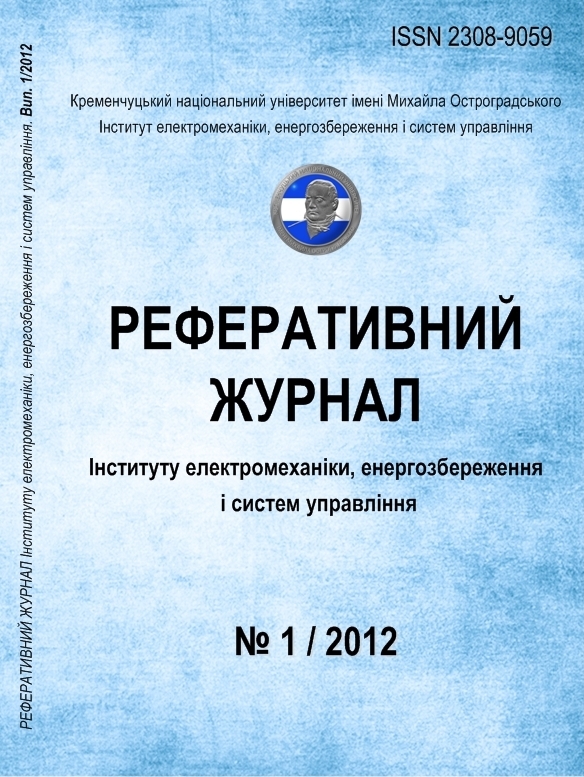 Scientific journal „Transactions Of the kremenchuk Mykhailo Ostrohradskyi National University"
The Scientific Journal "Transactions of the Kremenchuk Mykhailo Ostrohradskyi National University" is published since 1996. It goes out 6 times a year. By the Presidium of the Highest Examination Board of Ukraine presidium’s resolution № 1-05/7 since of 09.06.1999, the “Transactions” has been registered as a scientific edition. It is included into the List #1 of the professed editions of Ukraine in which competitors can submit here their doctoral and master's thesis. Registration Certificate is КВ № 18771-7571 ПР of 30 January, 2012. The issue publishes thesises containing a new theoretical and practical results which have been received in the fields of Engineering Sciences, Natural Sciences and Humanities. Scientific journal «Transactions of Kremenchuk Mykhailo Ostrohradskyi National University» has been published since 1996 and enrolled to the List of specialized editions for the research results of doctoral and candidate theses in Engineering to be reported in. The journal is reviewed by the VINITI abstract journal and database (Russian Academy of Science), global serials directory «ULRICH'S PERIODICALS DIRECTORY», databases «INDEX COPERNICUS», «POLISH SCHOLARLY BIBLIOGRAPHY» and «INSPEC», and national database «UKRAINIKA NAUKOVA» («DZHERELO» abstract journal). Our journal has applied for being included to the international abstract and citation database «SCOPUS». Scientific journal „Transactions Of the kremenchuk Mykhailo Ostrohradskyi National University" Series "Economics" " has been published since 2012. According to the Decree of Ministry of Education and Science of Ukraine no. 41 of January 17, 2014, the journal is registered in the List of specialized serial editions for the results of candidate and doctoral theses in economisc to be published in (Certificate no. KV 18771-7571 PR of January 30, 2012). 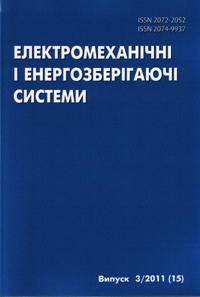 Scientific production journal "Electromechanical and energy saving up systems"
Scientific production journal "Electromechanical and energy saving systems" is published in the Kremenchuk Mykhailo Ostrohradskyi National University from 2007. On 26 January, 2011 the journal was registered in the List of the specialized editions for the research results of doctoral and candidate theses in Engineering to be published in. The journal is presented in the top research libraries of Ukraine, referred in the Vernadsky National Library of Ukraine. The journal is indexed by national database "UKRAINIKA NAUKOVA" ("DZHERELO" abstract journal), VINITI abstract journal and database (Russian Academy of Science), international databases "ULRICH'S PERIODICALS DIRECTORY", databases "INDEX COPERNICUS" and "POLISH SCHOLARLY BIBLIOGRAPHY", research electronic library eLIBRARY.RU. In 2009 journal „Environmental Safety" has been registered in International center of ISSN and has received the International standard serial number on the printed and online version of the publication - ISSN 2073-5057. 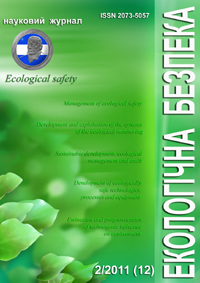 By the Presidium of the Highest Examination Board of Ukraine presidium’s resolution from 22.12.2010 № 1-05/8 journal „Environmental Safety" is included into the List #1 of the professed editions of Ukraine in which competitors can submit here their doctoral and master's thesis. The journal is reviewed by the national database «UKRAINIKA NAUKOVA» («DZHERELO» abstract journal). 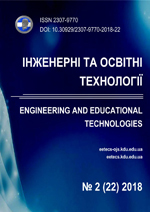 Online quarterly theoretical and practical journal "Engineering and educational technologies at electrical and computer systems"
Unified REQUIREMENTS for periodical scientific editions of the Кremenchuk Mykhailo Ostrohradskyi National University. Requirements for the Monographs, Papers and Conference Proceedings.